It’s not a secret that most working artist have day jobs. However the reasons vary for person to person. I know artist who are mechanics, information technology personnel, are involved in sales of all kinds, painters of homes; interiors & exteriors, and of course many of us are in education. I often think about the balancing act artist have to contend with in order to stay a working artist. The need to keep up with your craft and stay hungry for knowledge about what you’re passionate about. The flip-side of that is when you get into your day job, you need to be good at your day job. Call it the competitive nature of artist to challenge themselves, or just a plain need pay bill and support your family. Once you are passionate about your work (as an artist or your day job) it’s difficult to un-ring that bell. Your only option is to keep things interesting. 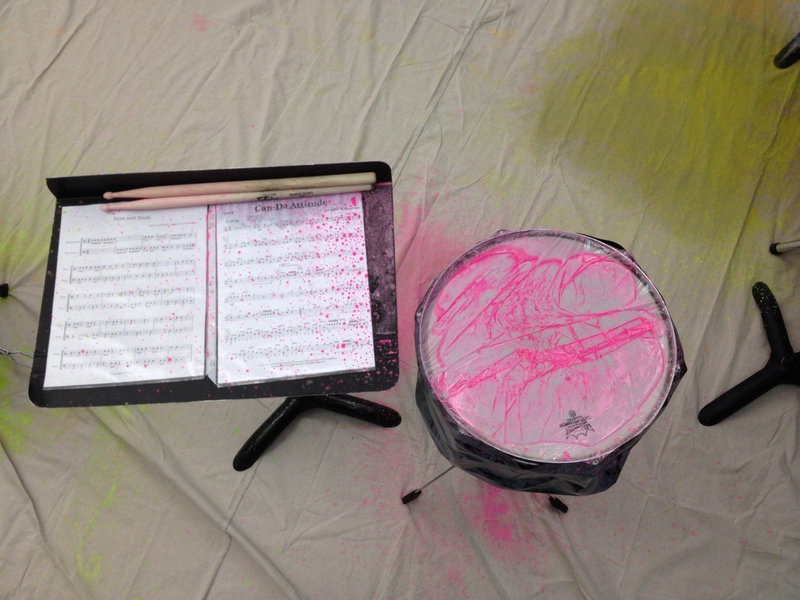 “Your only option is to keep things interesting.” Ask Ed the origin of this paint-spattered drum. You won’t be disappointed. His students will never, ever forget this man and the lessons he has to teach.